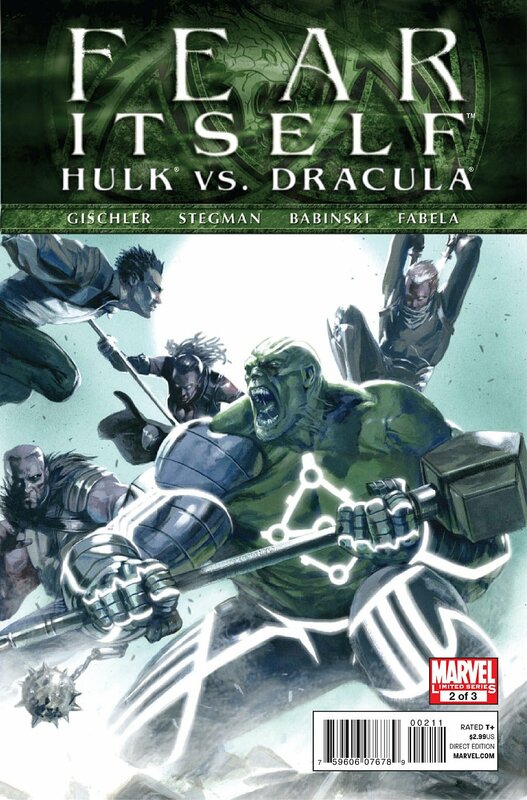 Click Here To See Fear Itself: Hulk vs. Dracula #2 Comic Book! 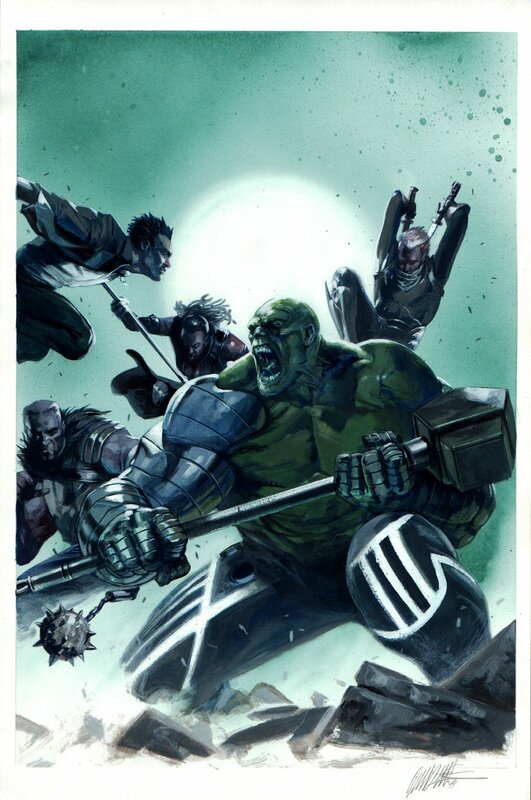 Check out this STUNNING Incredible Hulk cover, which was painted ENTIRELY by the great Gabriele Dell'Otto! As the possessed, power-enhanced Hulk wreaks havoc through the countryside, only one group stands between him and untold destruction: The Vampire Nation! Dracula gathers the newly-united vampire legions to stop the unstoppable! Cover is painted on 11 by 17 inch illustration board! Compare this nice cover art to the published comic book in the red link above! ALL art on our website (including this one) are able to be purchased with VERY fair time payments, and trades are always considered towards "ANY" art on our website! Just send us an email to mikeburkey@aol.com and we can try to work something out.